Home Tags Posts tagged with "Web Design Strategy"
The process of building a website may have become simpler with the development of numerous tools but planning an interface has become more complex. Businesses have to ensure that their interfaces possess useful functionalities. They also have to make sure that the design is attractive, in synchronization with the promotional strategy as well as conform to audience tastes. It has become essential to choose between local or global web design to optimize the potential of the interface for targeting prospective customers. A Canadian camping gear business owner hired a firm for web development in Vancouver. The entrepreneur wanted to target local clients and the development agency ensured that the website layout had elements which helped the interface in connecting with the target audience. Let’s look at a few suggestions for modifying the design according to the type of audience. Many people will think that how can the geographical location of the potential customers affect the color palette of a project. Colors are associated with a range of human emotions. Black may be thought to be a strong shade signifying elegance and class but in some societies, it is the color associated with mourning. If a business hoping to build a market in such a location, then it must refrain from using black in the layout. On the other hand, a website looking to establish itself globally does not any such issue. Just like the color palette, the image selection also needs plenty of planning and forethought. The pictures must be in harmony with the nature of the business as well as the branding strategy. Moreover, the sensitivities of the kind of customers being addressed have to be considered. Conservative societies will not react positively to glamorous images and if a business is hoping to establish itself in such a market, it will have to avoid using them. Local icons or historical landmarks without any copyright issues can also be chosen for the purpose. Some entrepreneurs think that using unconventional layouts can grab the attention of a large number of people. This is possible but only if the target audience is receptive to such ideas. Extensive research of the potential customers is necessary to understand the right design approach. However, it will always be sensible to choose a simple layout with distinct sections and well-organized elements. This approach will be helpful in addressing all kinds of audiences. The content planning is dependent on whether the interface is being built according to local or global web design strategies. The website content informs visitors about the kind of expertise an enterprise possesses in its industry. It tells about the unique factors that differentiate the company from its rivals. When targeting a specific geographical location, the content must be presented in the local language. E-commerce operators must ensure that product prices are displayed in the local currency. While the content used for global purposes can have a generalized tone, local benefits can be gained only if a personalized tone is used and the location is mentioned in the copy. Typography is one of the most important aspects of web design and can the choice of fonts impacts the website in a big way. When looking to communicate with people in diverse geographical locations, fonts that are compatible with all major browsers must be used. A visually-appealing font which is not supported by a major browser or device will serve no purpose at all. Owners must choose typefaces that are not hard to read and do not put visitors’ eyes under strain. A simple font will be liked by all people irrespective of their location. The web development firm hired by the Canadian adventure gear entrepreneur was also known for search engine optimization in Vancouver. It persuaded the business owner to choose a responsive design which helped the company to become popular among mobile users. Handheld smart devices have become popular around the world. In some locations, the majority of the searches are coming from these gadgets rather than desktops. Whether targeting local or global audiences, owners must ensure the mobile-friendliness of their interfaces. This will help in expanding the reach of their website and effectively addressing the prospective customers. 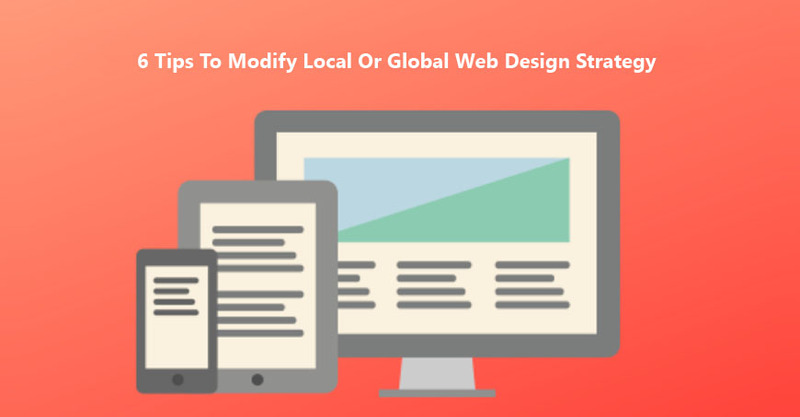 The decision to choose between local or global web design is based on the requirements of the client and design professionals must thoroughly research every aspect before finalizing the elements of a layout. Jacob Graves is a Web designer by profession and he works for a firm which provides Graphic Design Companies Vancouver – FernWeb. He uses to write useful tutorials on Web design and socialize its different social media platforms. You can follow him on Twitter.